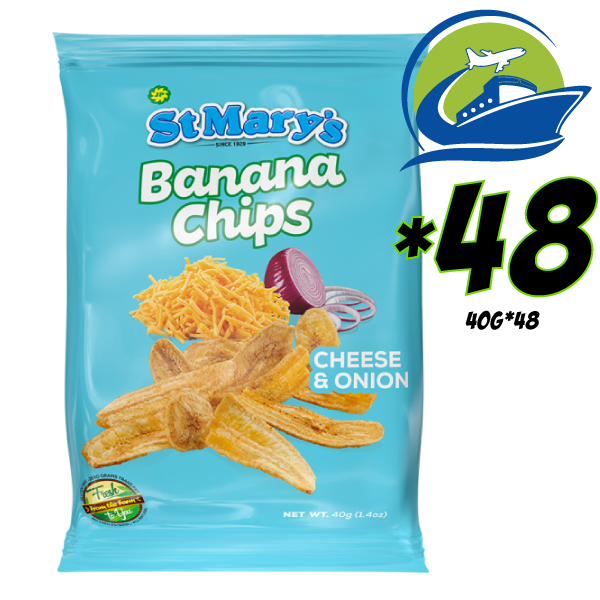 48 packs of medium 40 gram St Mary Cheese and onion Chips shipped direct from Jamaica to your door step. The chips are bought fresh from the factory and guaranteed to be fresh. Please note: this item is shipped directly from Jamaica and may take 3-4 weeks to arrive. Along with the cost of the item, a shipping fee of ¥700 will be added at checkout. Note: Do not use COD as your payment method when purchasing goods shipped directly from Jamaica. 48 packs of medium 40 gram St Mary Cheese and onion Chips shipped direct from Jamaica to your door step. The chips are bought fresh from the factory and guaranteed to be fresh. Please note: this item is shipped directly from Jamaica and may take 3-4 weeks to arrive. Along with the cost of the item, a shipping fee of ¥700 will be added at checkout.